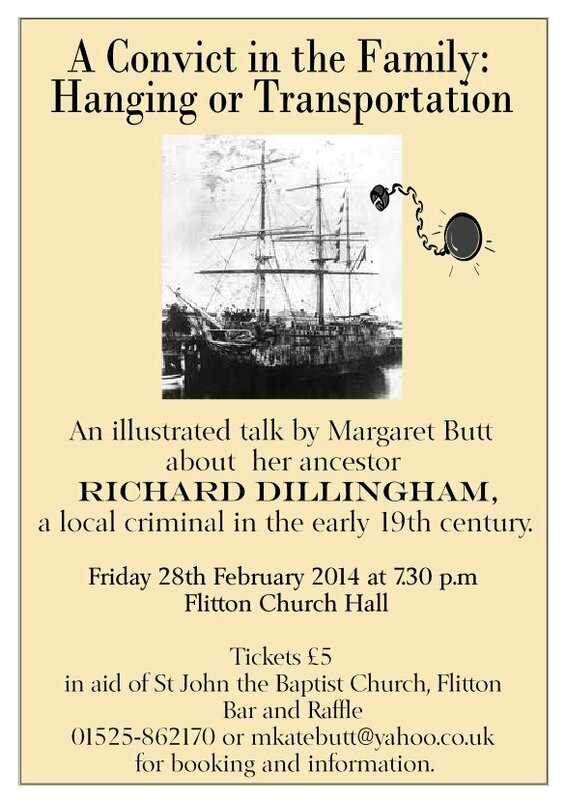 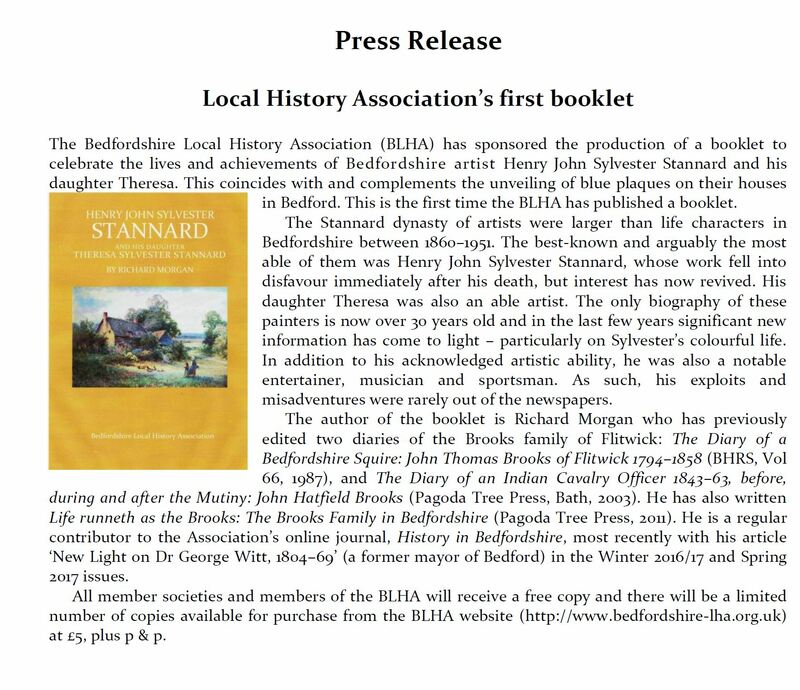 The BLHA has been the successful umbrella organisation for local history in the county for over thirty years. 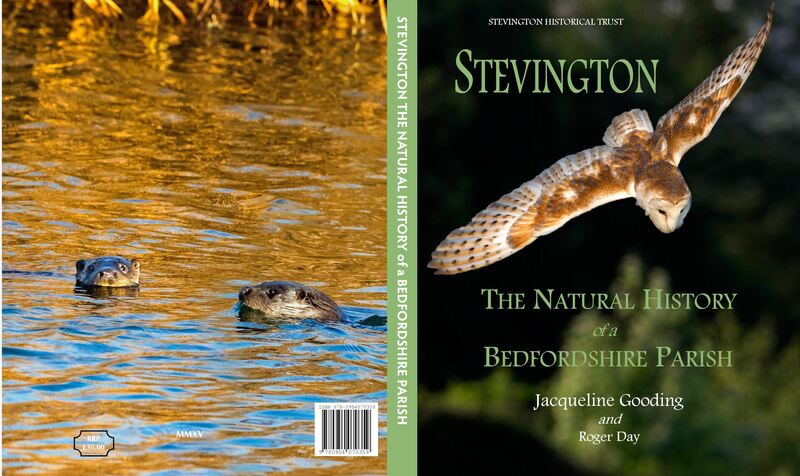 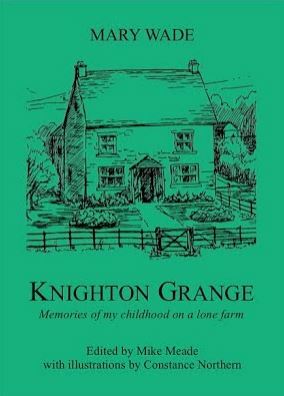 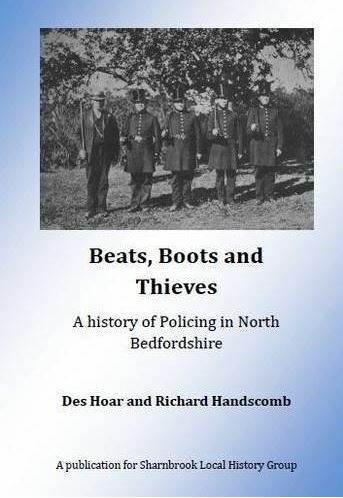 Members include: almost all of Bedfordshire’s local history societies, institutions such as the Bedfordshire Archives, and an increasing number of individuals. 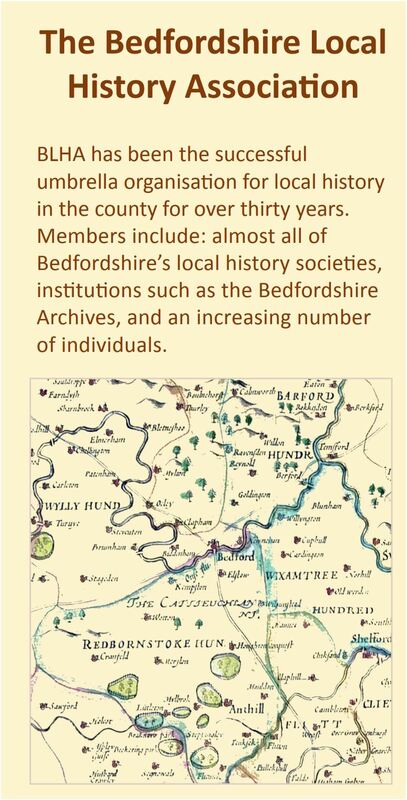 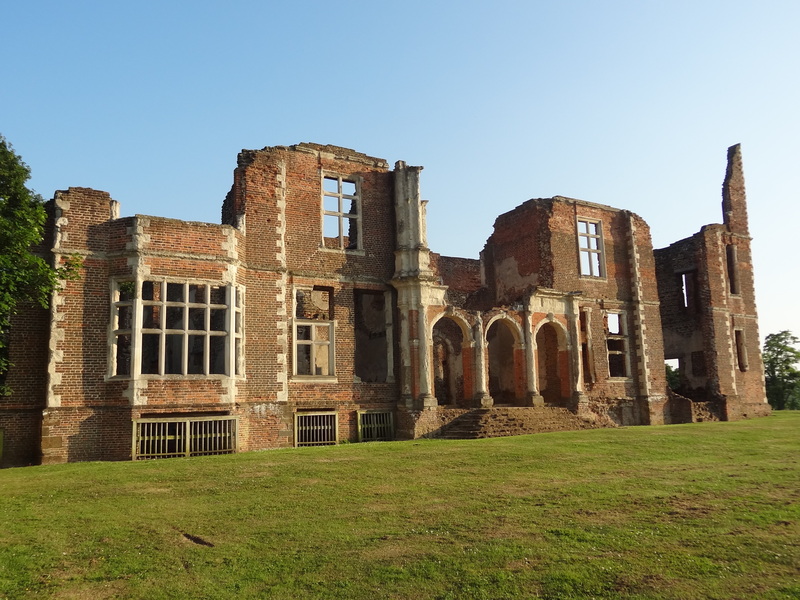 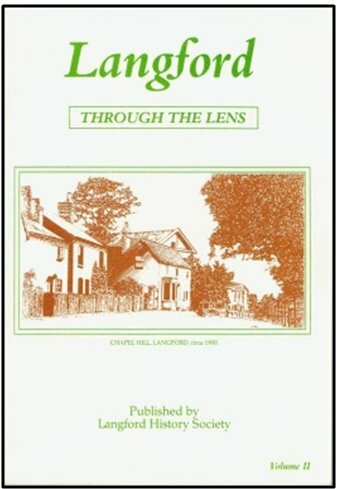 The association promotes the study of local history within and around Bedfordshire and provides a forum for discussion and cooperation between interested groups, individuals and its members. 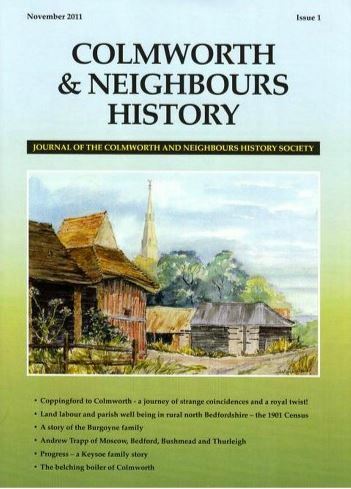 We also seek to improve communications between local history societies and the broader historical network both regionally and nationally. 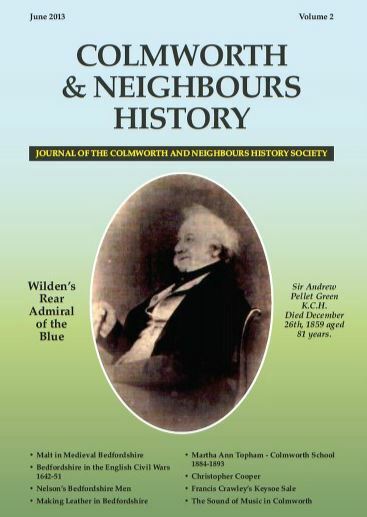 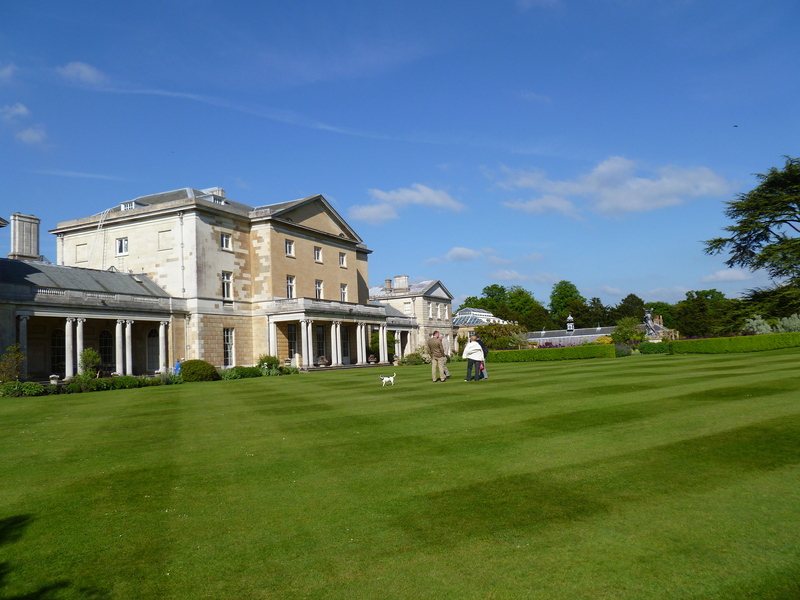 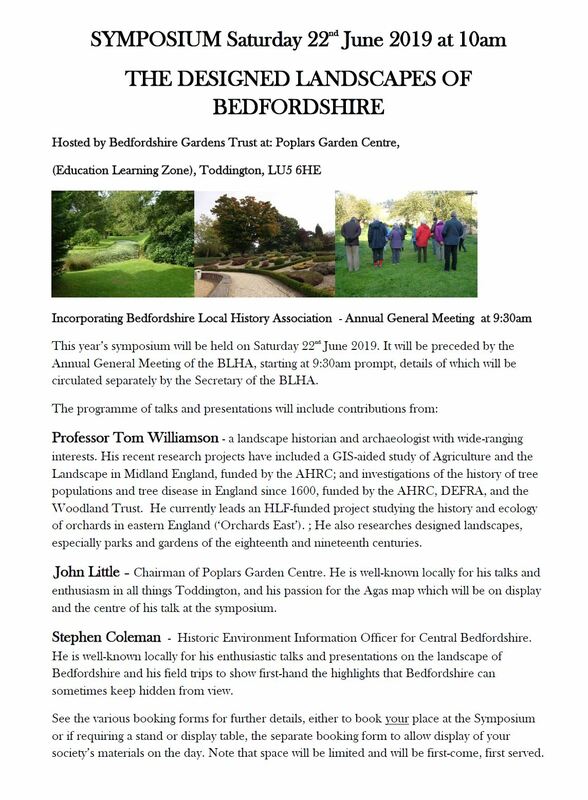 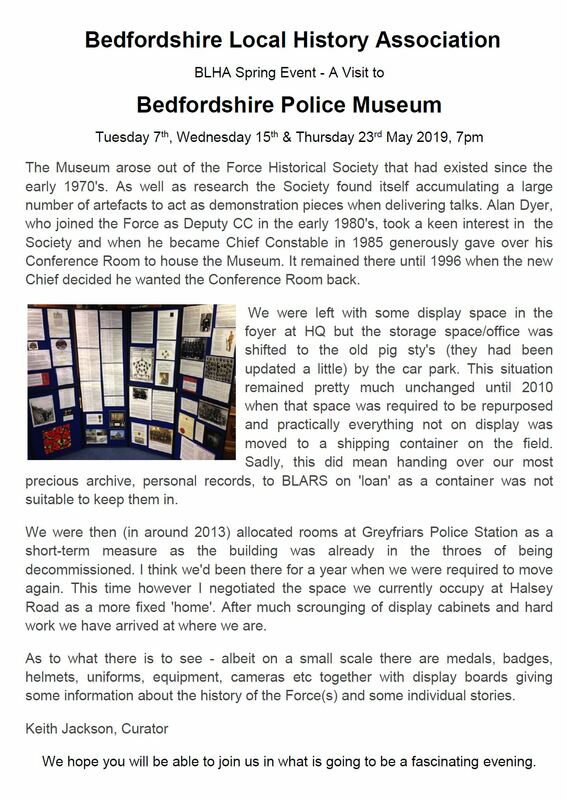 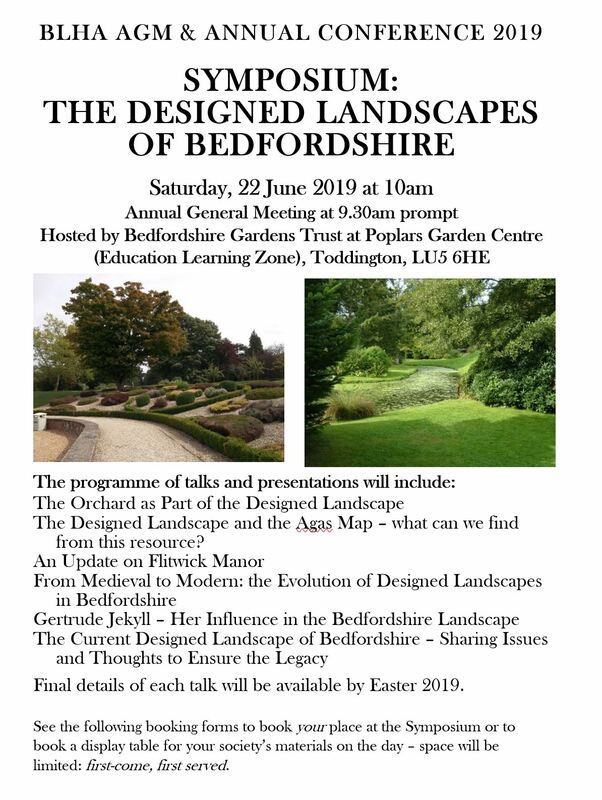 The BLHA organise a variety of events, such as walks, lectures, visits, workshops, exhibitions and conferences throughout the county, as well as publishing our newsletter, History in Bedfordshire, four times a year. 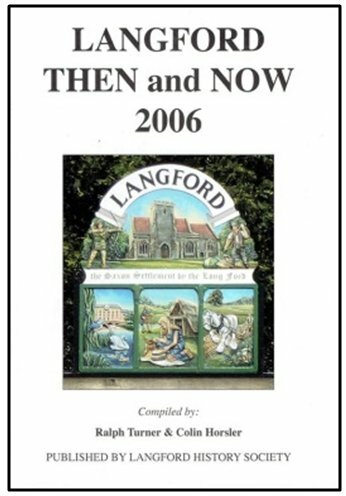 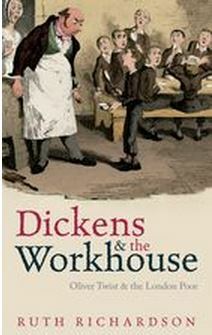 We can also provide information and assistance in the study of local history. 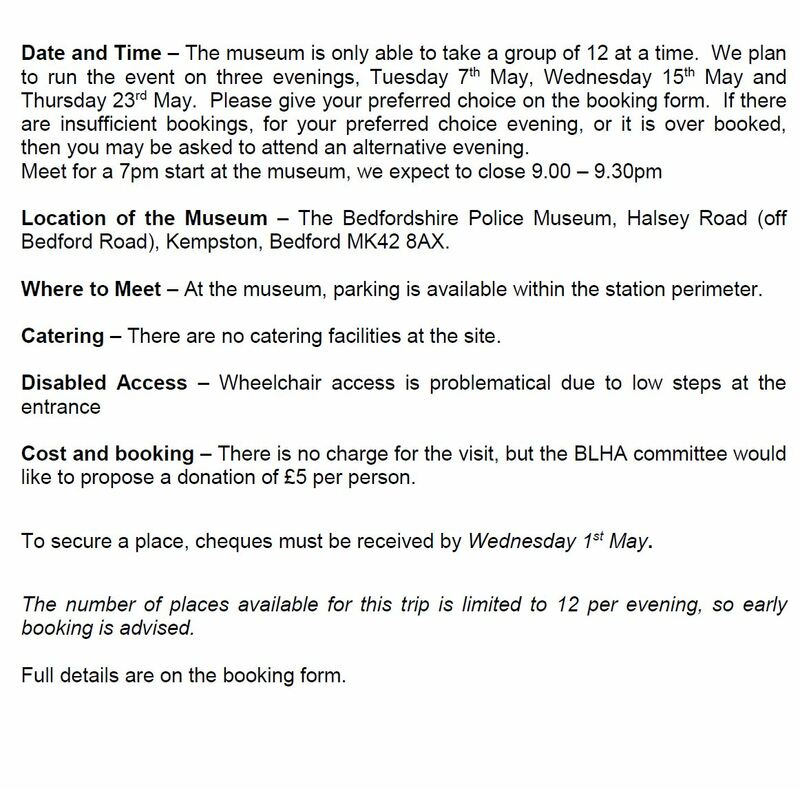 Please see all about us in our leaflet. 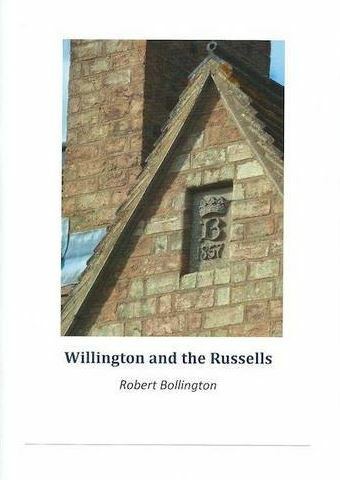 Stuart Antrobus has researched the weekly copies of the Bedfordshire Times from the start of ‘The Great War’ in August 1914 through to the Peace Celebrations of July 1919 and his selected extracts have been published, free, online through Bedfordshire Libraries’ virtual library website. 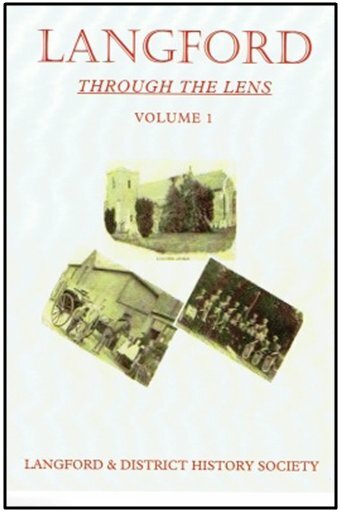 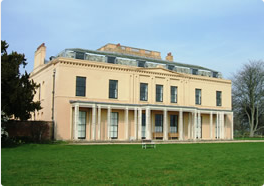 Stuart’s aim was to show the variety of ways in which life and business was affected for Bedford residents and elsewhere in the county by the war.